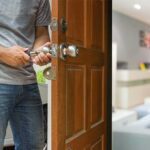 A business owner can call on a commercial locksmith when an unexpected lock out occurs so that employees can regain access to a building or retail location. However, this professional also offers many services that are beneficial for different clients who may need to have locks changed or replaced on a regular basis. A mobile technician will be dispatched to the customer’s location so that they can assist the client. A lost key may cause a temporary panic attack by the owner who needs to get into a store to open for customers who will be arriving at the start of the business day. A professional locksmith will access the lock to see how to best open the door. The lock may need to be picked in order for the client to regain access to a structure. This will leave the lock still workable. 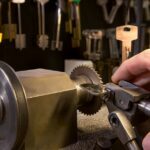 Extreme situations may necessitate that the lock is drilled into, and the locksmith will need to replace the entire unit. This professional will be able to provide the right piece so that the building will continue to be secured. The expert will put the correct lock on each door. A new tenant may also want to consider using this service provider to replace locks when they take occupancy of a building. This will ensure that unauthorized personnel no longer has access to a structure. A former tenant may still have a working key to that will open the current lock. A business owner will want to make sure that all of their business documents and products are protected from any type of theft. Sometimes, the item that is locked may be located inside of the office. A cabinet that holds important documents may become inaccessible when the key is lost. A professional will be able to open the cabinet, and they can replace the lock with a functioning closure. A rusty lock may be the culprit on the unit that is causing it to occasionally get stuck, and the client can request to have all locks replaced to prevent this from happening. A property owner will want to partner with a local commercial locksmith service provider when they will need to change mailboxes or door locks for their different rental units. A large apartment complex will have many locks that need to checked on, repaired and replaced during a busy year. They may also be contracted with to provide lockout services to tenants during after business hours. 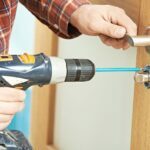 A commercial locksmith expert will be able to provide an array of services, such as the installation of updated locks for apartment or business doors. They will be able to repair older and newer lock pieces when they start to malfunction. A business owner may need to have a safe opened, the lock may need to be repaired. Old padlocks can be cut off using the right tools. Some clients may require assistance with digital locks, and these items can be serviced or reprogrammed by this professional. Last but not least; the commercial locksmith will be able to offer your business a security audit to insure that there are no vulnerabilities in your commercial property. From the windows, doors, to the roof, the security audit will lay it all on the line and help to secure your business from intruders. Each client will want to develop a lasting relationship with a qualified and trusted locksmith. This professional can be called on to help in emergency situations and for routine daily lock maintenance. The cost of services are based on the type of work that is being requested.